Is coming to & The Digital Art Community! We will be running a series of events such as challenges, interviews, features and more that you can participate in! We want to offer a platform to engage in the community and bring something fun to the table! These events are open to everyone and we welcome all to participate in the digital art community! Let's be creative together and share in the same passion we have for art! Each month we will be choosing a digital artist to feature for an exclusive interview! We will highlight their artwork in the journals as well as the interview itself. We will also be conducting informative interviews with artists that will offer advice and insight into things that have helped them throughout their digital art journey such as tutorials, walk throughs and helpful tips and tricks for digital art! We welcome any and all who would like to participate! This will be a featured series where the digital art CV's will curate several pieces of art and choose artists to feature in a single journal. We will pick a range and wide variety of artists and art in the digital art gallery itself to feature. We welcome everyone to participate in sharing and featuring art! You are also welcome to suggest artists for future features, including yourself! Each month their will be a new challenge for you to participate in! It will be centered around a "theme" which you will use as a prompt. The artwork needs to be designed around the theme! This encourages artists to go beyond their comfort zone and create art that inspires them based on the particular prompt we offer. We will also host a few challenges where it will be a free for all where the artists can create whatever they want, because we want to prompt and encourage artistic freedom! These challenges are designed to offer a platform to engage in the community and bring something fun to the table! Challenges are open to everyone and we welcome all to participate in the digital art community! 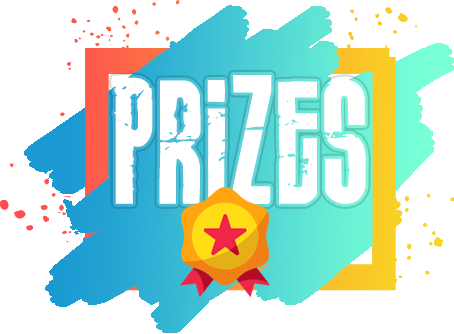 We will have prizes available for our challenges! There will be core memberships and points to give away! 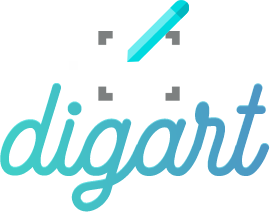 DigArt Challenges will run once a month and will be hosted by your Digital Art CV's! This month, for September, we're hosting a theme for aquatics! The challenge theme is there to inspire you to create something that's related to the topic! Aquatics could be interpreted such as a beach scene, a landscape of the ocean, mermaids, sea life, underwater shots, whatever your heart desires! It just needs to be in the digital art format! We have some awesome prizes to give away each month! Wow, that looks cool ! Look forward to it ! this looks amazing, and an interesting project too! can anyone participate or do you hav to sign up for the challenges? Anyone can participate It just needs to be in the digital art format! 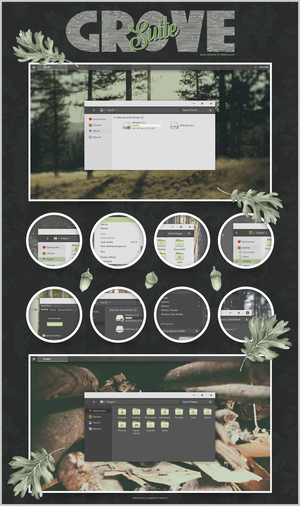 This journal skin is so beautiful Also, this looks like an awesome project, looking forward to it! I was about to say I hope you include fractal as dig art but looking at the CVs you listed maybe it won't be included. Shame, it's a pretty big community to not be included and a lot for one CV to manage on her own doing things like this. I love how this turned out! It's so beautiful! We gotta talk when I get the AC contest idea figured out. 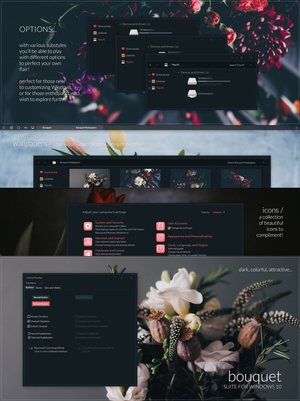 I would love to "borrow" something from this beautiful layout! Ahem... in the meantime... this is a great venture. I wish you guys the best! That's great to hear! I will be knocking on our door soon! Once I get things all figured out! No problem! We'll be opening it up to a bunch of Digital Art opportunities Not just "drawings" if you will. We will also be doing some free for alls! This sounds interesting, always happy to help if I can. DigArt Challenges will run once a month and will be hosted by your Digital Art CV's! This month we're hosting a theme for gold! The challenge theme is there to inspire you to create something that's related to the topic! It just needs to be in the digital art format! We have some awesome prizes to give away each month! Welcome to KovoWolf's DD Guidelines! Hello! I am currently the Digital Art CV ( Community Volunteer ) for DeviantArt and I'm humbled to make your acquaintance! My purpose here is to represent the digital art gallery in it's entirety as well as feature art and artists both known and unknown throughout the community! To bring to light fantastic pieces and art that otherwise might go unnoticed! You'll find a wide variety of art featured by yours truly and I look forward to bringing the lime light to various diverse digital art pieces. We all have dreams we want to accomplish. Problems we're hoping to turn around. Sometimes as it goes on month after month, even year after year, and we don't see anything changing we loose hope. It's easy to get discouraged and think it's never going to happen. This is as good as it gets so I'll just learn to live with it. But when it happens and you don't like it you feel defeated. You feel cheated. Change is a part of life. It's easy to get discouraged, even bitter. Sometimes we look at pieces in our lives that just don't make sense. But look at it as a page in a beautiful book. Your book. Dog eared, torn and even burnt but it was meant to be there. It was meant to be written and can be re-written but it can't even come to be without first putting pen to paper. Let's take a quick look at what a Daily Deviation is first. You might remember this article from our last PE week A Daily Deviation is NOT an award, but a feature. If you haven't already, you might want to take a look at it! It's a great read and you can get a good foundation as to what a Daily Deviation stands for. So, I'll be touching on the subject of "Complaints about quality declines in Daily Deviations". Why is this so important to touch on? That's a great question and I will be more than happy to answer it below as I describe some key factors that are often overlooked in the way of art vs quality. Art History - Digital Art - FeaturesHello guys! I am here to bring to you an art feature for the month October for ArtHistoryProject. This month is featuring Digital Art! What better way to kick off Digital art then gearing up with some features from that gallery! There is something truly inspiring, so liberating about viewing art from around the world and from various artists. Art brings to us raw, untempered emotions and I am humbled by being able to not only share but to embrace such a fine medium of art! The Digital Age has truly revolutionized art as a digital medium in itself. It has opened countless doors to many and continues to go above and beyond its limits daily. So without further ado, I bring to you some features from the Digital Art gallery! I hope you enjoy! "A Daily Deviation is a daily feature chosen from the galleries here on DeviantArt. A small assortment of submissions are chosen each day by a select group of staff/volunteer members who wish to showcase an image which they found impressive or otherwise interesting enough to deserve being brought to the attention of the community-at-large. For more information please refer to FAQ 18: Who selects the Daily Deviation and how is it chosen?" AC Halloween Contest Winners!Halloween Contest Winners! Thank you everyone who participated! We received an epic amount of entries and we're excited to finally reveal the results! Below you will find our winners! Unless you dare to take up an unearthly challenge! The hour is nigh and you must protect yourself citizen of the Anthro Community! The Dark Hour is upon us and we must hurry as our very souls depend on it. Great ProgressA conversation with the community about DeviantArt and the road ahead has to start somewhere. In the coming weeks and months, Heidi and her team will begin an elaborate conversation while maintaining a constant feedback loop with myself, our product & engineering teams, and our whole organization. Those who peruse my journal tend to be deep insiders who want real insights and a candid perspective. At least that's how I see it. So this is a post for you.